A few days ago we all went on a trip to the top of Signal Hill. 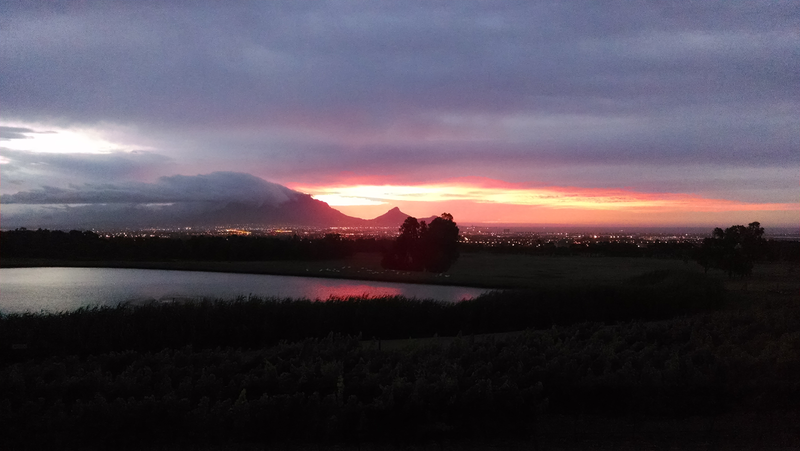 While the weather was absolutely atrocious by Cape Town standards, to me it was still a lot of fun. This was also when the deep freeze was hitting the States, so our 65-70 °F (16 °C) weather really didn't seem too bad. 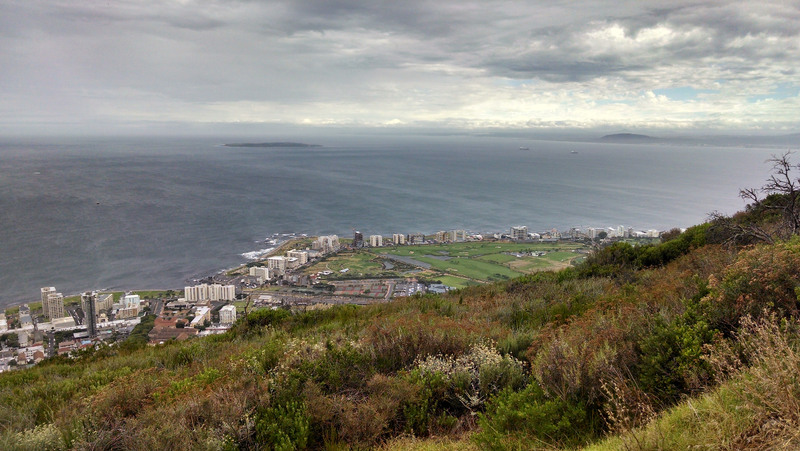 We met up at the EGS building at University of Cape Town and drove to the top of signal hill. We talked for a little while at the top and walked part way down the mountain. Our guides (professors at UCT) gave us a short run down on the history of the city, starting from the Dutch settlers. Given that we had already read A History of South Africa, most of it was a summary. However, there were a few things that the author of that book didn't cover, like District Six, which is where the primarily Coloured (different from the American definition, I still feel weird saying the word) population was forced to move out to the Cape flats in 1966 under the Group Areas Act. 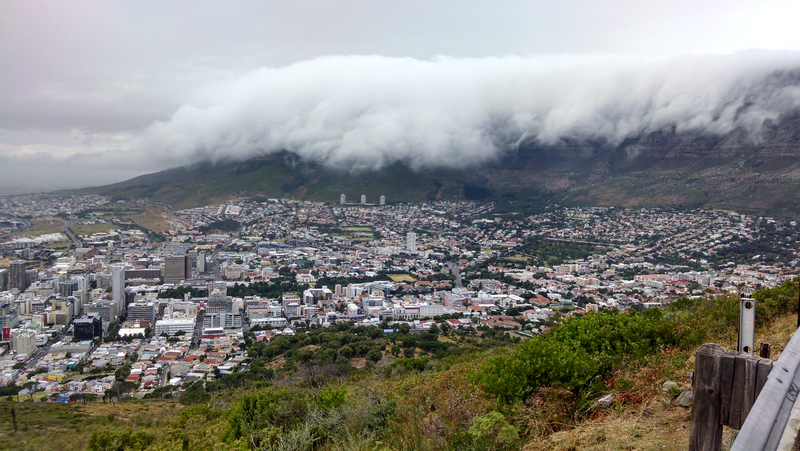 Here is a good picture of Cape Town from high up. 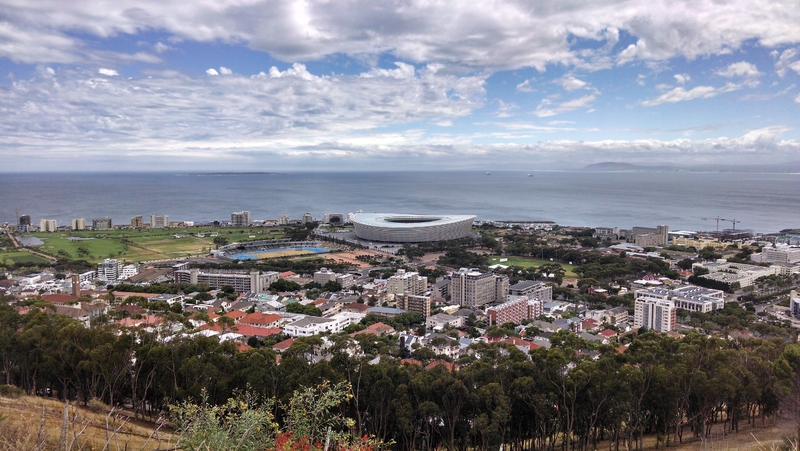 We also talked a bit about the stadium which has become a white elephant in Cape Town. It was built for the World Cup a few years ago. There was a lot of controversy about where the government should build it, which revolved heavily around race and the structures of the Apartheid which still influence the country. Adding to the controversy, right now nobody uses it except for some concerts and a few important soccer matches. 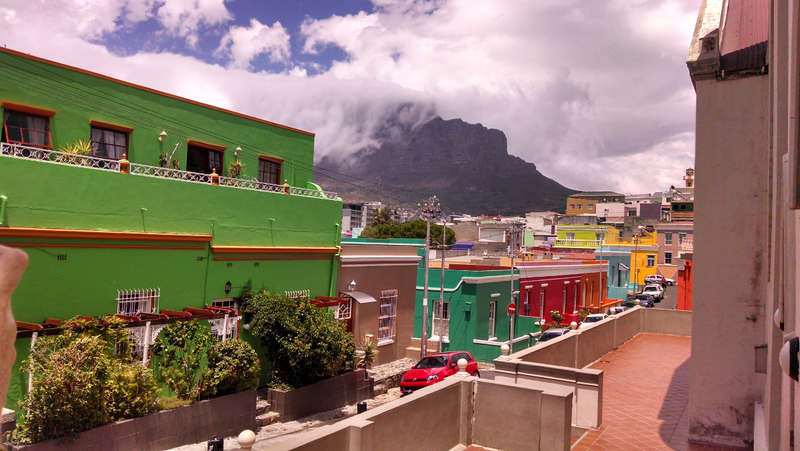 Afterwards, we walked down into Cape Town into a neighborhood that is being gentrified. The downside of this is the people who have lived there are now being forced to move out by rising housing taxes. In South Africa, your housing taxes are based on the value of the houses around you, not just your own house. So when rich people come in and build a nice house, the less wealthy locals can no longer afford to live there and have to move out. Regardless, it is still a beautiful area for now. After going home, we all dressed up and the EGS professors took us out to dinner at a vineyard. DeGrendel Estate recently added a restaurant and the food was delicious for a fairly reasonable price by great restaurant standards (30 dollars for the meal, and then quite a bit more for the wine). The wine tasted very good as well, although it is not my area of expertise by any means. And the view of the sunset was magnificent.